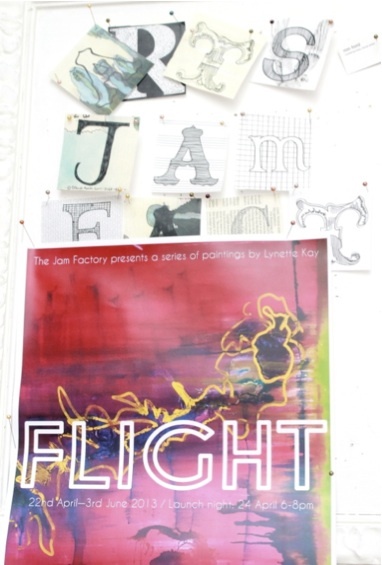 Oxford-based artist Lynette Kay’s exhibition ‘Flight’ opened in April at the Jam Factory Arts Centre, running until 3rd June. 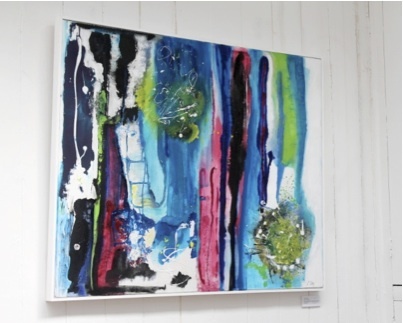 A collection of colourful, vibrant, mixed media paintings informed by an interest the senses lines the gallery making the room a beautiful display of colours. Lynette Kay, after having studied with Charles Howard at the Froebel Institute at the University of London and at the Royal College of Art, continues to paint under the influence and encouragement of the St. Ives School of Painting, John Clark and Roy Ray. Kay explains that music, colour, shape, and texture spark her imagination and allow her to paint the way she does. She states that whenever she hears a piece of music, colours, shapes and textures begin to form in her mind and it is this which she paints. The paintings then take on a life of their own, with colours mixing all over the canvas and shapes being laid over the top. She creates incredibly vibrant, engaging works, each with a different theme behind them but all with the same technique. This overlapping of the senses, hearing music and seeing colours, is called synaesthaesia. And although her paintings begin with music, nature – the sea, the sun, all the seasons, various landscapes – plays a key part in her work. She is also conscious of the textures that paint creates when drying and when on different canvasses. The exhibition itself is smaller than I was expecting. Looking at pictures of her work, I expected them to be large, overpowering canvasses full of colour and texture. But they were small and contained, and sadly overall the exhibition didn’t make much of an impact, despite there being maybe more than fifteen paintings on show. 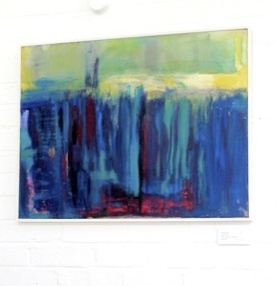 On closer inspection of the paintings you could see how beautiful they were – the way in which Kay paints is interesting, her choice of colour and shapes makes for stunning paintings, yet despite this, they still felt almost constrained for an artist that has such innovative way of working. The Jam Factory, the exhibition space, is an interesting little gem hidden in the west end of Oxford. 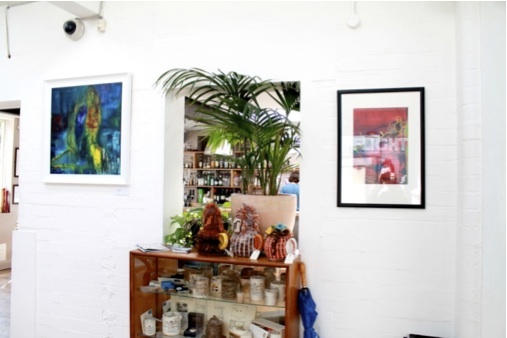 Originally quite literally a jam factory, and home to Frank Cooper’s Old Marmalade, it is a beautiful space. Open, bright and engaging it entices you inside, with its maze of rooms and brick walls. Not only is the building beautiful, but the building’s history is as interesting as is the history of Old Marmalade itself – a jar can be seen down the rabbit hole with Alice in the original illustrated ‘Alice in Wonderland‘ by Lewis Carroll, and in the book ‘From Russia, with Love‘, both James Bond and the Queen eat it with their breakfast. Full of interesting little details like this, The Jam Factory is a a safe haven for artists, a modern gem in classical Oxford, and a space that is instantly and totally likeable.